It's so nice that he posed for you. Great shot Howard! Excellent shot Howard, a white bird can be difficult to expose correctly. Neat opportunity for you. 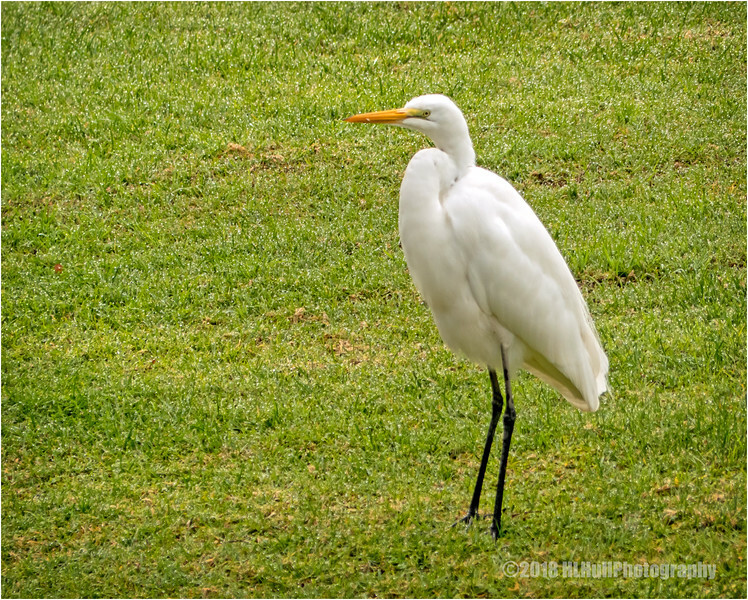 Somehow seeing larger birds like this (egrets, herons, cranes, etc.) always seems more thrilling than seeing the smaller ones. Clearly this one is comfortable around human activity (it's on a well manicured lawn (or golf course? )).